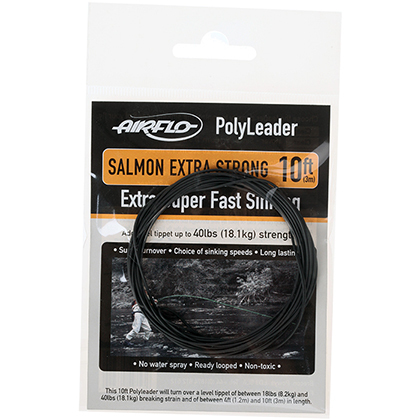 These Airflo 8' & 10' extra strong Salmon and Steelhead Polyleaders offer great turn over for bulky and heavy flies. They are available in 4 different sink rates from slow intermediate right through to extra super-fast sinking. 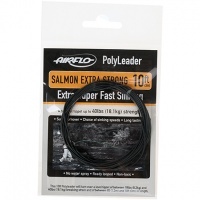 As you would expect from Airflo, these extra strong polyleaders provide complete depth control which is so often essential when fishing for salmon and steelhead. These polyleaders come in a range of densities including: Clear Intermediate, Slow Sinking, Fast Sinking and Super-Fast Sinking.